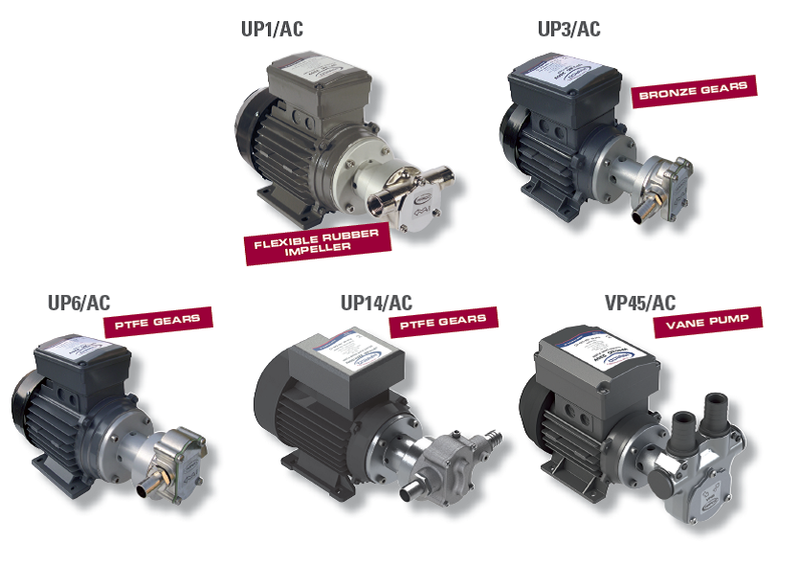 Self-priming electric pumps with gears for transferring of fuel and oils. Nickel-plated brass body and shaft in stainless steel AISI 420. Voltage available 110V and 220V single phase. For 110V items minimum order quantity required. VP45/AC M166-030-1C 220 4.9 ft 14.5 psi 9.25 gpm 0.3 150W 1.25A 1"